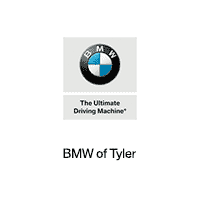 Here at BMW of Tyler, we are not only passionate about our new and used BMW model lineup, but we are extremely dedicated to providing top-notch customer service to our Jacksonville, Kilgore, Athens, Henderson area customers as well. Whether you have a specific model in mind or not, we here at BMW of Tyler will help you make a highly informed decision through every step of the buying process. The first thing everyone notices when they walk into our Tyler showroom is that factory finish on vehicles like the new 2018-2019 BW 320i, 330i, 530i and more models. And if that alone can’t capture your attention, our luxury model inventory also includes the BMW 5 Series, X5 and the X3 series. Just imagine the feeling of taking a seat behind the wheel for a test drive. That’s something we encourage everyone to do. That, and asking questions. Ask us for more information on exciting BMW Hybrid models. After all, we could talk about new BMW i3 & i8 models and more all day, and often do. If you’re looking for value, but perhaps aren’t looking for a new car, that’s perfectly fine. We certainly understand. You might be looking to head on a big trip, or want to treat yourself to something different. No matter what it is, the savings can be had via our collection of used cars. They come in many trims and variants, and will keep you, and your bank account, happy. Our friendly staff is well-versed in helping drivers of all financial abilities discover one of the best car loan and lease options available. Whether you’re a first time car-buyer, or you have years of experience under your belt, BMW of Tyler can help all Jacksonville, Kilgore, Athens and Henderson drivers achieve the ideal auto financing options. That means you can focus about what’s really important: that shiny new or pre-owned vehicle. Even after the sale is complete, BMW of Tyler continue to ensure you get the most out of your new or used BMW 3 Series, 4 Series, 5 Series, X3 and X5. And how do we do that, exactly? First, by offering an incredible selection of BMW parts for you to choose from when maintaining your car. Second, by staffing a knowledgeable service and repair department to make sure you get more out of each and every mile you spend behind the wheel. BMW of Tyler is committed to making sure you have a fantastic BMW experience. No matter what model you’re interested in, new or used, we invite you to visit our dealership today. We’d relish the opportunity to get to know you and help you find a vehicle you’ll truly love, so be sure to visit us at 2401 W Southwest Loop 323 in Tyler, TX, today.